I made this baby blanket for the new born or 3 to 6 months babies. 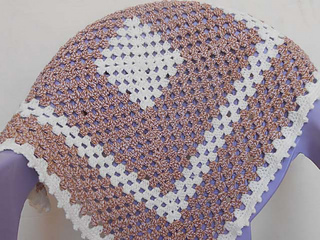 This blanket I made a granny type afghan baby designs, often people says this type blanket a baby Afghans blanket, baby shawl and many other words to use. It is very easy and quick crochet beautiful afghan blanket for the babies. Every mother wanted to choose best quality things for their babies and children, but those mothers that she likes and know about the hand made things she always wants to crocheted things for their babies. I am mother and also like crocheted things for my own children. 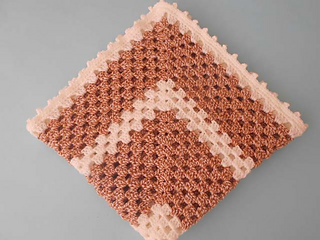 The handmade crochet blankets are the best protected item for the newborn babies; it is very thick and warmer.